These days, superhero movies dominate the multiplex, are nominated for Oscars, and bring families together. Much of the credit for this goes to Marvel, a company which has mastered the art of making both major leaguers like Captain America and talking trees like Groot into worldwide icons. Just like Marvel revitalized comic books in the 1960s with the unique combination of flawed heroes and interconnected storylines, today's Marvel Cinematic Universe has changed blockbusters forever. It wasn't always this way, though. When that first X-Men movie peeked out the door in 2000, nobody predicted it'd be a breakout hit, and it wasn't until the release of Sam Raimi's 2002 Spider-Man that superhero movies began to explode across the world. Even then, it took a little while for studios to figure out how to make some of these characters work on film, leading to an array of anticipated Marvel sequels that never quite happened … though luckily enough, the internet left a trail a clues. 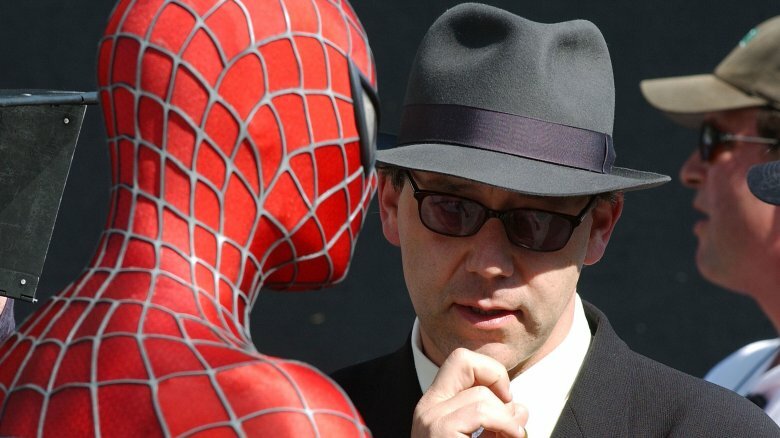 Sam Raimi's first two Spider-Man movies are undisputed classics of the genre, but Spider-Man 3 caused many online arguments. Some loved it, some hated it, but everyone wanted a fourth movie to wrap up the loose ends and give the world one final epic swinging scene. Sam Raimi and his crew knew how high the stakes were, so when Spider-Man 4 went into production, they dedicated themselves to the goal of ending the series on a high note, with the best Spider-Man movie ever. 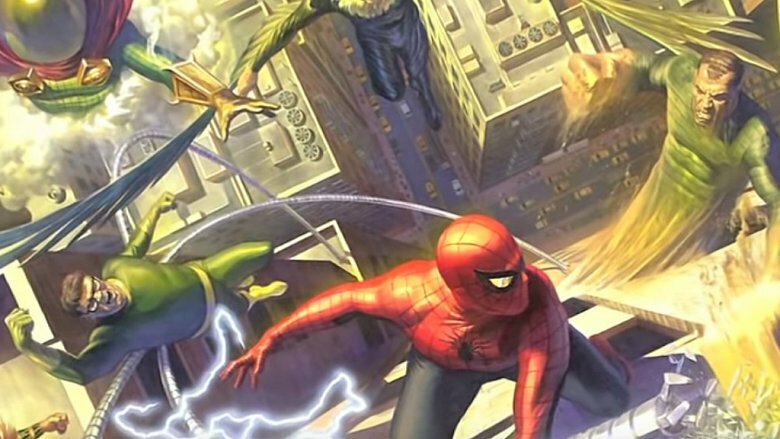 According to Den of Geek, the standard cast of Tobey, Kirsten, and co. would've been joined by John Malkovich as Adrian Toomes (aka, the Vulture later played by Michael Keaton), and concept art shows that Toomes and Spidey would've done some insane aerial tangos. Spider-Man 4 also would've featured Anne Hathaway as antihero the Black Cat, and Raimi's buddy Bruce Campbell would've made the ultimate cameo as Mysterio, finally fulfilling years of fan demand. Further plot details are sparse, but since the film was screen-testing red-headed toddlers for a key role, many believe Peter and MJ would've had a kid. Raimi wasn't willing to rush. He'd felt unsatisfied with Spider-Man 3 and wouldn't cut corners, so when Sony pushed him against a deadline, he walked away from the project. Long story short, Sony rebooted … and it didn't go as well as they hoped, so Marvel rebooted a third time, and Spidey now hangs out with the Avengers. Ang Lee's artsy, experimental Hulk film took a heavy beating when it first premiered in 2003, but in later years, the movie has earned a surprising degree of retroactive acclaim for at least attempting to do something radically different with the superhero genre. Considering how weird that Hulk was, it's clear the creators weren't planning on a conventional blockbuster franchise. However, screenwriter James Schamus has explained that he and Lee did develop story ideas — and even a script — for the sequel that never happened. According to Cinemablend, Hulk 2 would have been set on a Native American reservation, with a radioactivity-fueled storyline that would've had deep political allegories, presumably involving the environment, displacement, and so on. The villains would've probably been fellow gamma-irradiated foes known as the Leader and Abomination, according to USA Today. Probably the most exciting news for comic book fans was that Schamus wanted to incorporate the gray-skinned Hulk sometimes known as "Joe Fixit," a leaner, meaner, smarter Hulk that embodies Banner's adolescent angst, much like the green Hulk is Banner's repressed childhood rage. While Abomination and (a hint of) the Leader have since appeared on the big screen, the gray Hulk is still waiting in the wings, though Screen Rant says Hulk did almost lose his green hue in Avengers: Age of Ultron. Frankly, the Punisher is a tough character to get right. Make him too nuts, and he becomes unlikable. Make him too heroic, and you miss the point. It wasn't until Jon Bernthal's heartbroken-but-brutal take premiered in the MCU that fans truly embraced a live-action version of the character. That said, you have to credit former Frank Castle actor Thomas Jane for being passionate. Even before the 2004 Punisher hit theaters, USA Today says Jane was revved up for a sequel where Castle could take on his archenemy, Jigsaw. A script rewrite was done by Sons of Anarchy creator Kurt Sutter, who told Looper he wanted to delve deep into the Punisher's emotional traumas, finding the humanity behind the violence, and even including a romantic subplot. 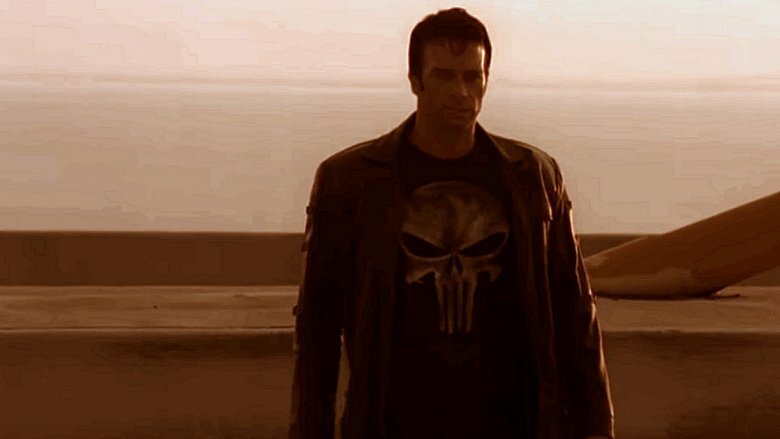 Unfortunately for all parties involved, Punisher 2 languished in development hell for a few years, eventually taking a bullet to the face when even Thomas Jane called it quits, according to Rotten Tomatoes, because he was becoming so disappointed by the new film he saw coming together that he didn't want to be involved. Eventually, bits and pieces of the abandoned Punisher sequel were brought to life in the reboot flick Punisher: War Zone, which … well, you know how that went. If you don't know, that's why. Back when the MCU was in its infancy, it seemed inevitable that Don Cheadle's Colonel Jim Rhodes, aka the heavy metal hero War Machine, would probably get his own film, especially after his successful debut in Iron Man 2. Why didn't it happen? Actually, Slashfilm says it almost did. Cheadle himself was psyched for the film, telling Empire that the tone would've been darker and grittier than the Iron Man films, with a storyline where Rhodey goes against orders on a dangerous mission for ethical reasons and becomes a wanted fugitive. While Jim Rhodes going rogue sounds like a fun flick, and Complex says Marvel went as far as hiring a future Black Panther screenwriter to write it up, the project faded away when Shane Black's then-upcoming Iron Man 3 decided to take Jim Rhodes in a different direction. 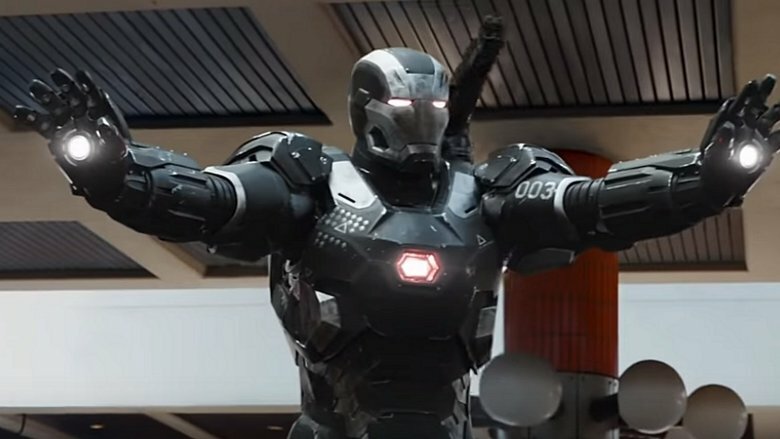 Too bad for Rhodey, because as he admits in Iron Man 3 itself, War Machine is way cooler than Iron Patriot. Ben Affleck returns as ... Daredevil, man (versus) Fear! These days, the blind vigilante known as Daredevil is best known for his critically acclaimed TV series, which combines intelligent writing and deep characters with the most intense hallway fights in superhero history. Back in 2003, though, Daredevil was stuck in a not-so-critically acclaimed Ben Affleck action movie that missed the mark in a big way. Before the 2003 movie's negative reputation really sank in, writer/director Mark Stephen Johnson was pretty jazzed up about a sequel. In an interview with UGO, he expressed his desire to adapt Frank Miller's venerated "Born Again" storyline — where Kingpin finds out Matt Murdock's secret identity, and tears his life apart — and also insert a darker, modernized version of the cheesy 1960s bad guy Mr. Fear, a purple-cloaked dude with a blue skull who uses chemical fear gases a la Batman's Scarecrow. According to Moviehole, Johnson liked the concept of the "man without fear" taking on a villain who embodies fear itself. Not necessarily a bad idea, but Johnson's direct sequel ended up being replaced by that terrible 2005 Elektra movie, which pretty much killed the series until Netflix came around and showed the world how cool Daredevil really is. The Fantastic Four are one of the brightest, most wondrous properties in the Marvel wheelhouse, so somebody was smoking something pretty toxic when they decided to produce the muddled, grim-dark reboot Fant4stic, which flamed out into a box office bomb. Or, on the other hand, maybe 20th Century Fox just really, really wanted a version of Reed, Sue, Johnny, and their orange-rocked friend that could exist in the same dark, tortured universe as their more popular X-Men franchise. Never mind the fact that a celebrity quartet who cheerfully traverses alternate dimensions has little reason to crossover with an oppressed squad of mutant warriors fighting for survival against bigots, robots, and the government: Fox wanted it to happen, and they were going to make it happen. Before Fant4stic's release, according to Den of Geek, X-Men director Bryan Singer even teased that plans for the crossover film were "in play," and hinted that it would somehow involve time travel. Once Fant4stic ended up being a disaster, these discussions went quiet for some reason. 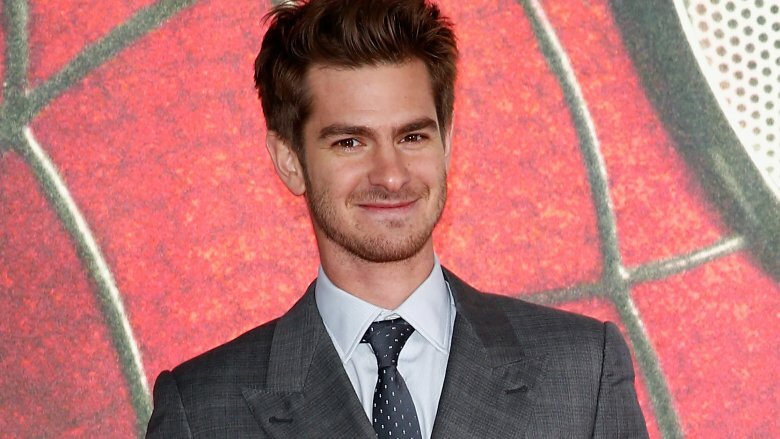 Andrew Garfield returns to the webs ... and all the dead people come back?! Before the less-than-satisfactory reception of The Amazing Spider-Man 2 kerplunked Sony's web-headed reboot series, the studio had huge plans for a Spider-Man cinematic universe, hence why ASM2 got weighed down by so much setup. The centerpiece of their future efforts would've been the trilogy-capping Amazing Spider-Man 3, which would follow up on Peter's life after losing Gwen Stacy. Dark stuff. That's where things get weird. Talking off the cuff to IGN, actor Denis Leary (who played Gwen's father, Captain Stacy) said the third movie would've featured Peter downing some spooky sci-fi formula, which apparently "regenerated" all his dead loved ones, presumably including Gwen, Uncle Ben, and Peter's parents. Uh, that's definitely not from the comics? Fans have speculated that this might've been some cinematic re-imagining of the infamous Clone Saga, or perhaps a dream/nightmare sequence, but who knows. Movies do their own things sometimes, too! As far as villains go, Harry Osborn actor Dane DeHaan was contracted to return, and Den of Geek points out that his disturbing dad, Norman, as played by Chris Cooper, was probably a shoo-in. After all, a scene was cut from ASM2 wherein Norman's head is severed and cryonically frozen. Maybe they were going to clone his body? Definitely sounds like an odd flick. Say what you will about Tim Story's Fantastic Four movies, but while they royally messed up Doctor Doom and turned Galactus into a puffy space cloud, they did a pretty good job with the Silver Surfer. 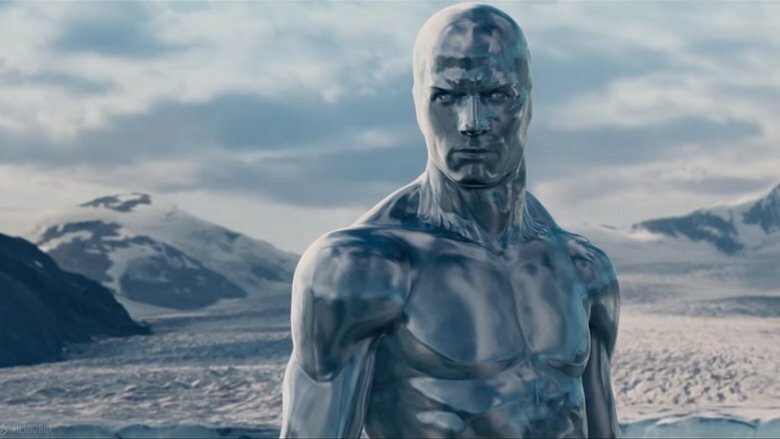 From the beginning, 20th Century Fox intended to follow up the shimmering alien's debut in Fantastic Four: Rise of the Silver Surfer with a solo flick. They even hired Babylon 5 creator J. Michael Straczynski to write a script, and according to SuperheroHype, Straczynski's film would've picked up moments after the end of the previous movie, with the Surfer having just defied Galactus to save Earth. Realizing that he'd pissed off his master by reneging on the whole "herald for the world eater" deal, the Surfer would race back to his homeworld, Zenn-La, to save it from Galactus' unholy appetite. According to MTV, the movie would've also flashed back to Norrin Radd's origin story and depicted all these cosmic happenings with a serious, adult tone. 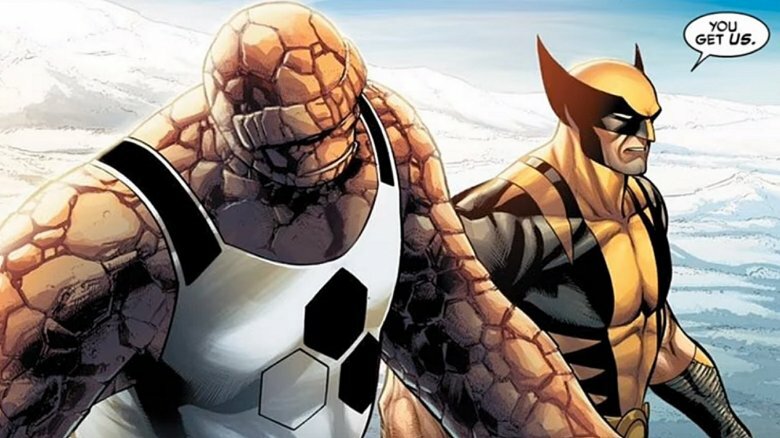 Unfortunately, even though Straczynski and actor Doug Jones were game to move forward, the Fantastic Four sequel's reception wasn't quite so fantastic, so the project faded into space. In retrospect, it's weird that the 2009 prequel X-Men Origins: Wolverine wasn't just titled, you know, "Wolverine," but at the time, Fox wanted to launch a whole series of X-prequels. 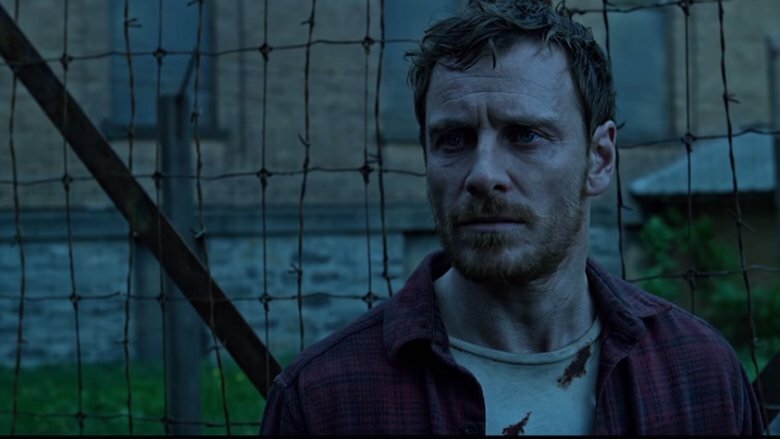 According to MTV, David Goyer was set to write and direct a follow-up titled X-Men Origins: Magneto, a haunting depiction of how the young Jewish mutant Erik Lensherr survived the Nazi concentration camps. As the film came together, 20th Century Fox hit the pause button, wanting to wait and see how their Wolverine prequel did before calling action. As it happens, X-Men Origins: Wolverine was a setback for the series, so Goyer's movie never happened. Later on, as X-Men producer Lauren Shuler Donner pointed out, a huge amount of Magneto's origin story ended up sliding into X-Men: First Class instead, rendering the original concept somewhat pointless, according to Slashfilm. Still, if there's any Marvel "villain" that could hold their own film, it's definitely this guy. Another thread that those Amazing Spider-Man movies left dangling? All that setup for the Sinister Six, the ultimate team of Spider-baddies who will now probably appear in a Homecoming sequel someday instead. While the end of ASM2 made you think the Six were going to roll up in Part 3, the reality is that Sony was setting them up for their own Sinister Six movie, with Cabin in the Woods maestro Drew Goddard at the helm. As conceived, Sinister Six was going to be like Suicide Squad before Suicide Squad, though hopefully a lot less terrible.The bad guys would have been the protagonists, according to IGN, though Goddard had no intentions of watering down their evilness. SyFy says the movie would've seen the Six taking on a colossal, cosmic monster named Gog, and they'd even travel down to the Savage Land, a mysterious dinosaur-filled hot spot in Antarctica. 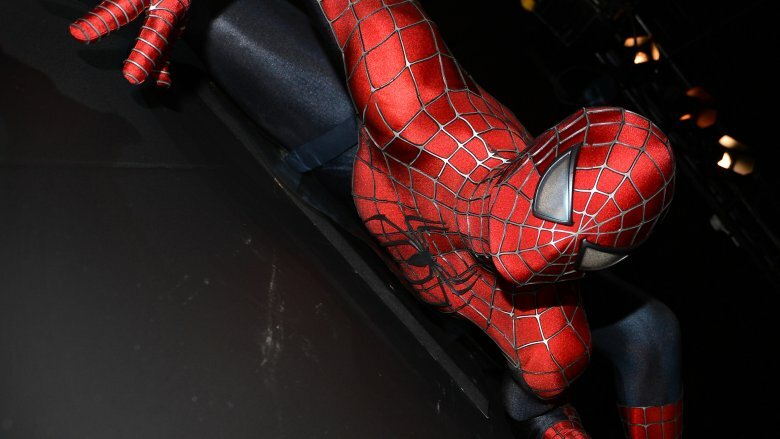 The team's lineup included Spidey's archenemy, Doctor Octopus — Goddard wanted Matt Damon for the part — as well as Black Cat, Mysterio, the Vulture, and Tom Hardy as the Sandman, who in one scene would've gotten so big that he could knock over skyscrapers. Oh, wait. That's five, isn't it? Goddard's sixth "Sinister" member would've been Spider-Man himself, presumably somehow blackmailed into joining the team. The movie's central relationship would've been the dynamic between Spidey and Ock, as they go from allies to lifelong foes. An epic trilogy, starring Deacon Frost, from Blade? Okay, so chalk this up under the category of films nobody asked for and which nobody is sad about the cancellation of. 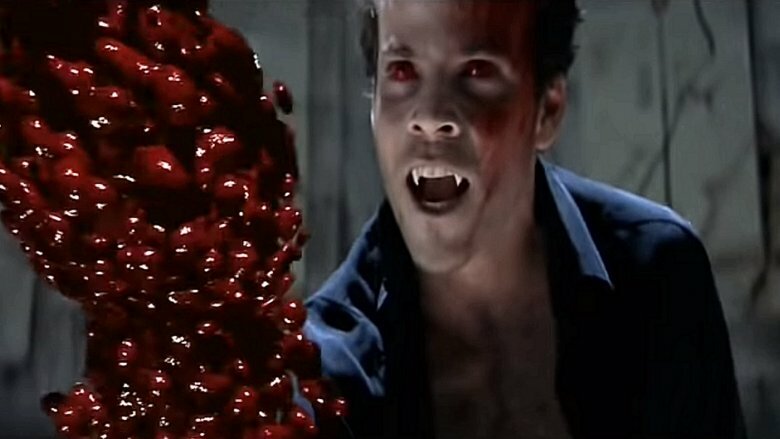 While Stephen Norrington's 1998 vampire flick Blade was certainly a cool horror flick that helped the struggling superhero genre and put its title character on the map, it's hard to imagine anyone thinking there should be a prequel movie centered all around the movie's chief bad guy, Deacon Frost … except for Norrington himself, apparently, and Frost actor Stephen Dorff. A full decade after Blade came out, Den of Geek says the duo were talking about a Deacon Frost movie. Stranger still, ComicBookMovie.com reported that Stephen and Stephen wanted to make an entire vampire trilogy, chronicling how Frost first got bitten and became so powerful, with a Scarface-like tone. Dorff expressed that neither of them had much interest in doing a version tied to the Marvel Cinematic Universe, so this project is (probably) deader than a vampire. Decades before anyone took comics seriously, Bill Bixby and Lou Ferrigno brought Marvel's hulking green giant to life. After the TV show ended, their version of the Hulk returned for some TV movies — including one crossover with the cheesiest, drunkest Thor ever envisioned — until the character finally met his maker in the grand finale, Death of the Incredible Hulk, by falling from an airplane. Sure, comics Hulk jumps out of planes for breakfast, but this was a different era. 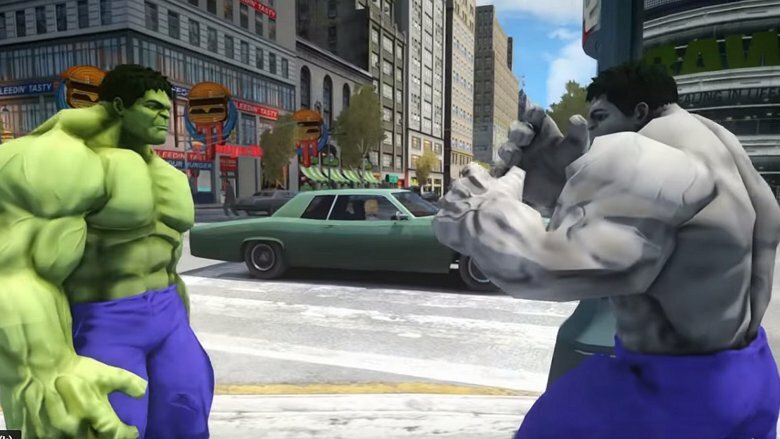 However, Hulk's "death" wasn't intended to be final. According to comics historian Arnold T. Blumberg, the plan was to reveal that David (not Bruce, remember?) 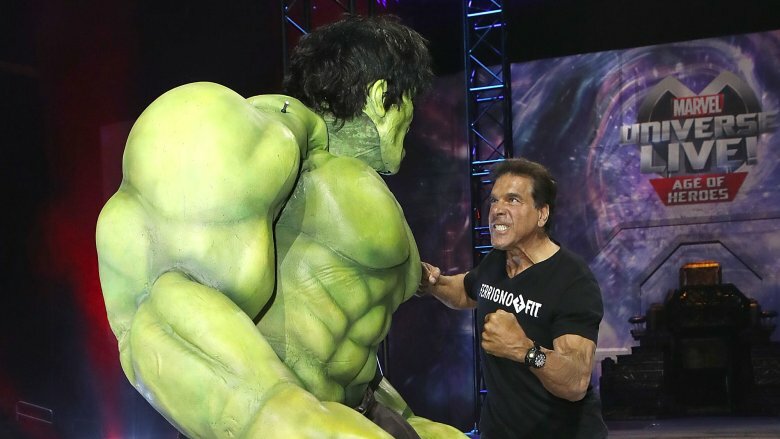 Banner had faked his death, making his big return in a fourth TV movie that would've been titled either Rebirth or Revenge of the Incredible Hulk. Other planned Hulk sequels included a crossover with 1970s Spider-Man Nicholas Hammond and even an Iron Man/Hulk movie. CBR says a She-Hulk movie was also developed. As in the comics, Jen Walters would've gotten her powers via a Banner blood transfusion, but instead of becoming the green and extroverted comic heroine, the TV She-Hulk would've been mute and aggressive, with shimmering gold skin and red hair. Mitzi Kapture would've starred as Walters, while volleyball star Gabrielle Reece was cast as She-Hulk. In the end, none of these Hulk projects saw the light of day, probably due to Bixby's tragic, fatal bout with prostate cancer. Though it took years of dedication, fights, and studio wrangling for Ryan Reynolds to finally bring a comic book-accurate Deadpool to life — no, that regrettable X-Men Origins version doesn't count — his efforts have since paid off in spades. 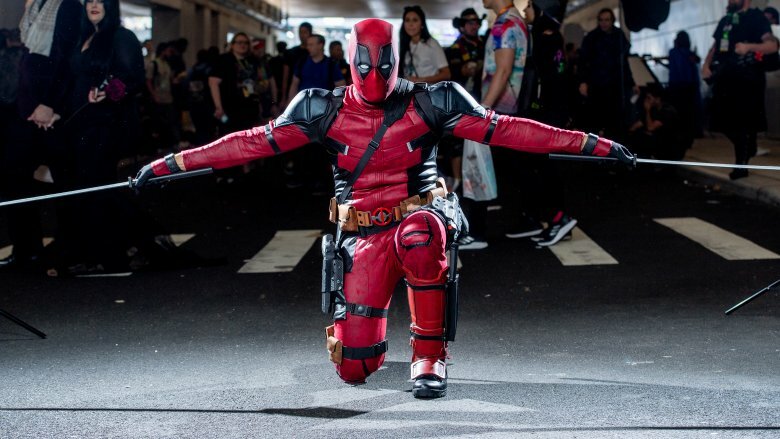 The Deadpool films have become smash hits, turning their wisecracking antihero into a pop culture force. After Deadpool 2 introduced the characters of Cable and Domino, the clear next step is an X-Force movie, right? Although this mutant strike squad has muddled around in development hell for years, with directors Jeff Wadlow and Joe Carnahan attached at various points, the latest news was that Drew Goddard had taken the reigns, according to Cinemablend. But then … hello, Disney. The details regarding Disney's engulfment of Fox still need to be ironed out, but so far it looks like X-Force is an early casualty since the X-Universe is presumably going to get rebooted. Deadpool and Cable co-creator Rob Liefeld even tweeted a mini-eulogy for it, saying "Pour one out for ol' X-Force. Victim of the merger. $800 million grosser easy." So yeah, the odds aren't looking good. That said, considering how hard Ryan Reynolds campaigned for Deadpool, there's always chance this corpse might get some life thrust back into it.